Independent Scotch bottler Alexander Murray & Co. pursues a high-volume retail private label strategy. Alexander Murray & Co. bottles private-label Scotch whisky for several retailers, including Costco's Kirkland brand. In the world of Scotch independent bottlers, consumers and trade readily recognize century-old names such as Wm Cadenhead and Gordon & MacPhail. But a comparative dark-horse newcomer, Alexander Murray & Co., has emerged as the category leader by volume in recent years. Calabasas, California–based Alexander Murray is the brainchild of Scottish native Steven Lipp, the president and CEO who founded the company in 2004 after serving as sales director at independent bottler Duncan Taylor. While other independents have concentrated on selectively buying rare casks, Lipp has focused instead on big volumes, starting up the Trader Joe’s private label Scotch program in 2004 and then supplying the Scotch for Costco’s Kirkland house brand starting in 2007. Since November, he has supplied Total Wine & More with its new Ainsley Brae private-label single malt in finishes ranging from Burgundy to Sauternes to Sherry and priced at a bargain $27 a 750-ml. bottle. The volumes handled by Alexander Murray are big: Costco sells an estimated 100,000 cases or more a year of its blended Scotch ($20 a 1.75-liter bottle). Overall, Murray shipped 165,000 cases of Scotch whisky in 2015, a total expected to rise 10 percent this year. The company is also seeking to cultivate an audience outside the big chains and is introducing a new collection called Polly’s Casks around the country this spring. Market Watch recently spoke with Lipp to discuss the company’s success, its future plans and the state of the private label business. MW: Where did the Alexander Murray name come from? Lipp: My father’s name was Ian Murray Lipp. His uncle Alexander Murray was a farmer. I spent my summers on that farm and have always had fond remembrances of my boyhood, when he would share a swig of whisky from his hip flask with me and then warn me not to tell my mother. MW: We hear so much about shortages of barrel stocks throughout Scotland, which can’t be good for independents like you who depend on distilleries to sell to you. Lipp: The market has changed and continues to change. Back in the late 2000s, I still had some Macallan barrels and was selling an 18-year-old Macallan for $80 in the United States. But Macallan hasn’t sold at all to independents in the past 10 years, and I understand that in view of the intense demand for the Macallan brand. On the other hand, the Scotch market is very cyclical. Macallan and others are building new facilities and in another 10 years, we may find we have surpluses of Scotch again. Distilleries seem to either produce too much or too little. The Scotch market is very cyclical. In another 10 years, we may find we have surpluses of Scotch again. MW: How many distilleries do you work with at present? Lipp: About a dozen, including Caol Ila, Tomintoul, Dalmore, Mortlach, Glenrothes and Tullibardine. Dalmore doesn’t work with many independents. Mortlach is also undergoing new construction and will be doubling its capacity. MW: It’s rumored that Tullibardine is your biggest supplier and is responsible for filling much of the volume that you supply to Total Wine and to Costco. Can you confirm that? Lipp: I can’t. Neither Total Wine nor Costco want the distillery name identified on the Scotch I supply to them. That’s their policy, and I have to honor it. 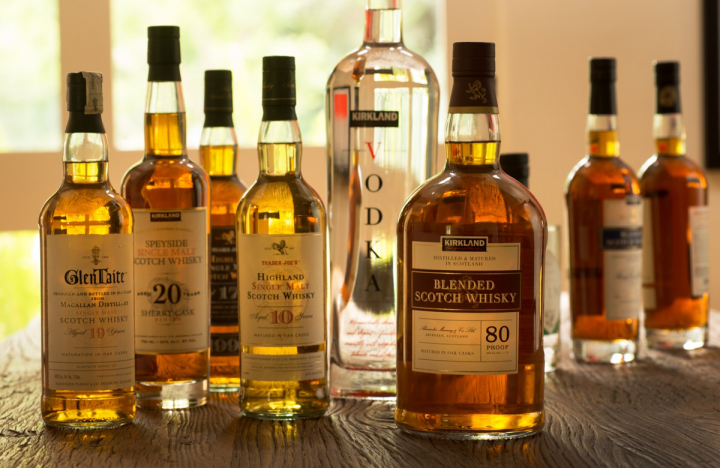 MW: Will we see other U.S. retailers introducing private-label Scotch? Lipp: Every large retail chain in Europe had its own house brand of Scotch years before we introduced the idea in the United States. I would say that America has been catching up with the rest of the world in that regard. I expect to see more of it here. 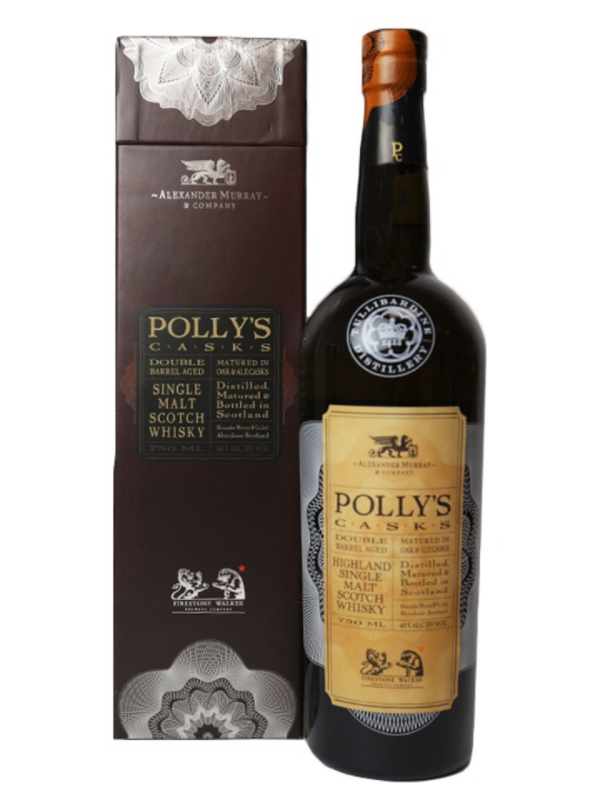 The new Polly's Casks brand features Tullibardine single malt Scotch whisky finished in Firestone Walker beer barrels. MW: How did Polly’s Casks get started? Lipp: My friend David Walker of Firestone Walker Brewing Co. on California’s Central Coast told me that he buys a lot of ex-Bourbon casks for aging his IPAs for 12 to 24 months. We decided to ship 60 of his old casks to Tullibardine, which got its start as a brewery 600 years ago. We put six- to eight-year old single malt liquid in the casks and started aging under the supervision of the master distiller, John Torrance, for periods of three months to a year. The result is about 3,000 cases of 40-percent abv Scotch that’s very malty on the nose, with an unusual nuttiness. We think we’re the only ones to have tried this marriage of IPA beer barrels and single malt. The Polly’s Casks name comes from David’s wife, Polly. The front label is unusual for including three producer names: Firestone Walker, Alexander Murray and Tullibardine. The retail price is suggested at $100 a 750-ml. bottle, and BevMo, Costco and Total Wine will all be selling this. We’re talking to Binny’s in Chicago too. MW: Will we see more Polly’s once the 3,000 cases run out? Lipp: No, this is a one-off experiment for us. In the future we’ll be looking for other unusual collaborations. It’s been good to be associated with the likes of Firestone. It improves our credibility. Our goal is to grow our own brand in the United States in the future. We’ve just introduced a 53-year-old Highland malt ($980) under our own name. I buy so much for the big chains that I can get old Scotch from some of the distilleries.